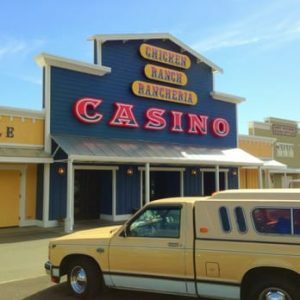 After finalizing the purchase for the Jamestown Hotel last Friday, and with construction of a new event hall completed – the Me-Wuk Indian Tribe are now able to move forward with their plans to expand their existing gaming facilities and hold discussions over a new potential casino establishment in California. 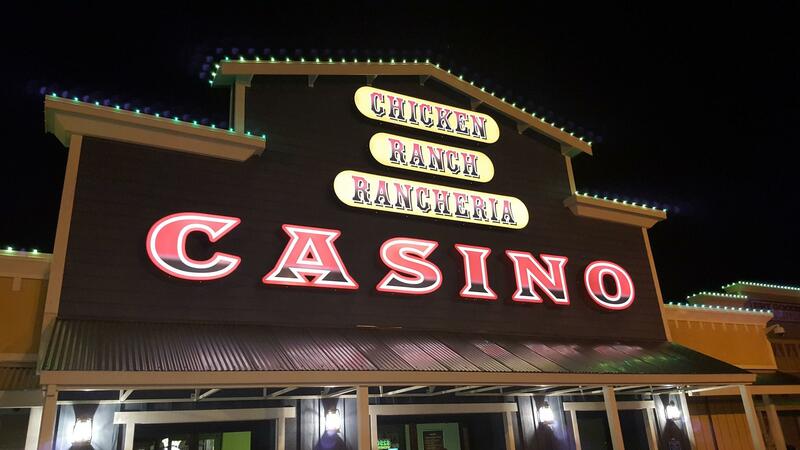 The Me-Wuk Indians currently own and manage the Chicken Ranch Rancheria which first opened its doors in 1985. As part of a voted expansion, the casino will now look to acquire a coffee shop, an additional 247 slot machines (on top of the 360+ already present there), as well as 9 extra tables where players can partake in everything from poker tournaments to specialty games. Tribal Chairman Lloyd Mathiesen, who was recently re-elected to stand in for a new 3-year term, welcomes the latest additions to the casino. After speaking with local news outlet Clarke Broadcasting, he predicts the refurbishments to the Chicken Rancheria to be completed by 1st May. As the casino generally runs between 90-95% capacity, the expansion will likely present further business opportunities and entice more gamblers outside of the state to partake in their games. Along with the renovations, the tribe is also working closely with Caltrans to build a new roundabout system in the area, in a bid to ease the traffic flow. It will be located on Highway 108 and is expected to be completed by early spring 2020. The tribe also owns approximately 600-acres of land directly across from the Highway, where they are said to be in talks with Cal Poly (California Polytechnic State University) over a proposed partnership. The details of what they plan to do with the area have yet to be revealed. With so much in the pipeline, Mathiesen and his associates are said to be highly excited for the tribe’s movements in 2019, and the economic advantages it will bring to Jamestown. “It allows us to be a part of the Jamestown community, as far as downtown, and we can see what we can do, as far as other changes, so that it can get back to where it used to be,” said Mathiesen. Over the course of the next decade, the Me-Wuks are also hopeful that permission will be granted for them to begin construction of an all-new casino establishment – which could likely involve the partnership with Cal Poly mentioned earlier. Even though 2019 looks to be a very promising year for the Me-Wuk tribe, things weren’t always smooth-sailing for the Native Indians. Over 100 of the tribes situated throughout the U.S lost much of their federal recognition and assets during the 1950s-1960s, after the California Rancheria Termination Act was passed by state legislature. The policy was created with the intention of incorporating Native Americans into common society, but consequently over 2 million acres of protected land was stripped from the tribes and sold to non-natives. Including much of the land belonging to the Chicken Ranch Rancheria. Fortunately, ownership for much of the tribe’s reservation was regained in the years that followed, and in 1985 Mathiesen opened the first bingo hall in the town which is where the Chicken Ranch Casino now stands. With the expansion to the facility due to take place in the up and coming months, Mathiesen believes it’s a move which will ultimately benefit everyone.